In 1985, Zacharias Kunuk broke the race barrier at Canada Council for the Arts when his Inuktitut-language video, From Inuk Point of View, was the first work by an Inuit or Aboriginal artist deemed eligible to apply for a professional artist’s grant. Kunuk was the video’s director; Norman Cohn cameraman; Paul Apak editor; and elder Pauloosie Qulitalik told the story. By 1990, the four partners had formed Igloolik Isuma Productions Inc. to produce independent video art from an Inuit point of view. Early Isuma videos, featuring actors recreating Inuit life in the 1930s and 1940s, were shown to Inuit at home and in museums and galleries around the world. Over the next ten years, Isuma artists helped establish an Inuit media arts centre, NITV; a women’s collective, Arnait Video Productions; and Artcirq, a youth media and circus group. 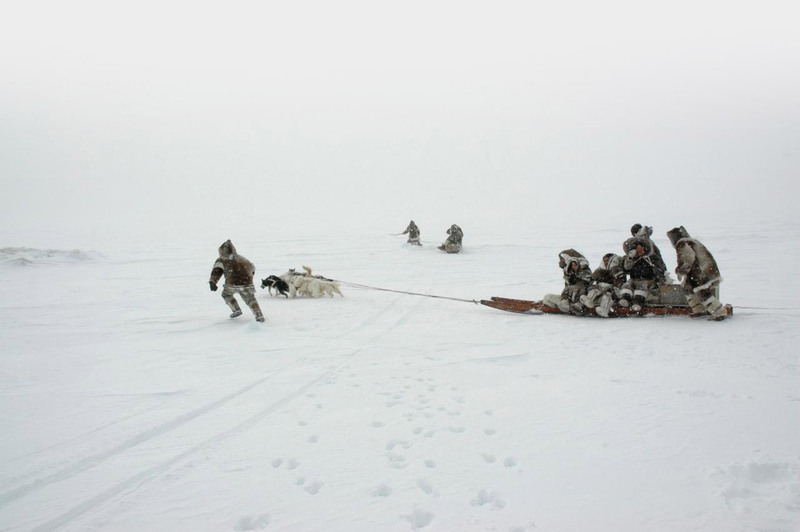 In 2001, Isuma’s first feature-length drama, Atanarjuat The Fast Runner, won the Caméra d’or at the Cannes Film Festival; in 2002, both Atanarjuat and Nunavut (Our Land), a 13-part TV series, were shown at Documenta 11 in Kassel, Germany. Isuma’s second feature, The Journals of Knud Rasmussen, opened the 2006 Toronto International Film Festival, and its third feature, Before Tomorrow, written and directed by Igloolik’s Arnait women’s collective, was screened in World Cinema Competition at the 2009 Sundance Film Festival. In 2008, Isuma launched IsumaTV, the world’s first website for Indigenous media art, now showing over 7,850 films and videos in 71 languages. In 2012, Isuma produced Digital Indigenous Democracy, an internet network to inform and consult Inuit in low-bandwidth communities facing development of the Baffinland Iron Mine and other resource projects. Isuma then produced a non-fiction feature about what took place during this intervention, My Father’s Land (2014). Further recent projects include the feature drama, Maliglutit (Searchers), the TV series, Hunting With My Ancestors, and the first Haida-language feature film, Edge of the Knife. For more information write info [at] isuma [dot] tv, visit Isuma TV, and follow Isuma on Twitter, Instagram and Facebook.